Actor-writer-director Mercedes Grower has countered Hollywood’s holiday rom-com films with a nifty little improv film set in London. It has the pieces of a romance film told through multiple relationships but it’s more daringly put together and created than the traditional romance or comedy you might see at your big theater chain. Brakes is split into two parts: the second half starts the film and the first half ends it – got it? We see the decay of a handful of romances without the context of where they are in their relationship. This structural shift is an interesting way to deal with audience’s perception of relationships –- particularly in how it divorces you from picking “sides” –- but Grower goes one further by having the actors improvise (not sure to what extent) these relationships. This effectively makes the film feel like you’re eavesdropping in on a couple sitting next you on the bus or at a restaurant. The quality of these mini stories veers between wanting to get closer to hear what they’re fighting about and just wishing that they’d shut up. While the film lacks a formal filmmaking polish, it makes up for it by making the conflicts organic, almost as if they’ve been captured on home video or an iPhone. The dilemmas in these relationships aren’t the explosive fights you might expect; they’re created through the passage of time. The sparks fade. There’s no chemistry. Life goes on. Grower’s structural upending of the romance genre flirts with drifting into gimmickery, but the added improv flavor makes the experiment end up as more than just a exercise in genre subversion. It works as a kind of heightened naturalism for our voyeuristic digital age. I wonder if a streamlined story focused on three or four couples would’ve offered more dimensional arcs for the audience to latch on to. But what ends up working best about Brakes is that it feels like little snapshots as though you’re scrolling through your Facebook homepage and “creeping” on people’s lives. The actors are less acting –- in a traditional sense -- than they are expressing and reacting. The performances can be a little forced, but there’s also some genuinely solid work done here –- a few times without any dialogue. The camera captures them in the moments of relationships more than characters in a story. This leaves the weaving London vignettes and characters on various quality levels, but for every flat moment there’s one of intrigue or laughs. 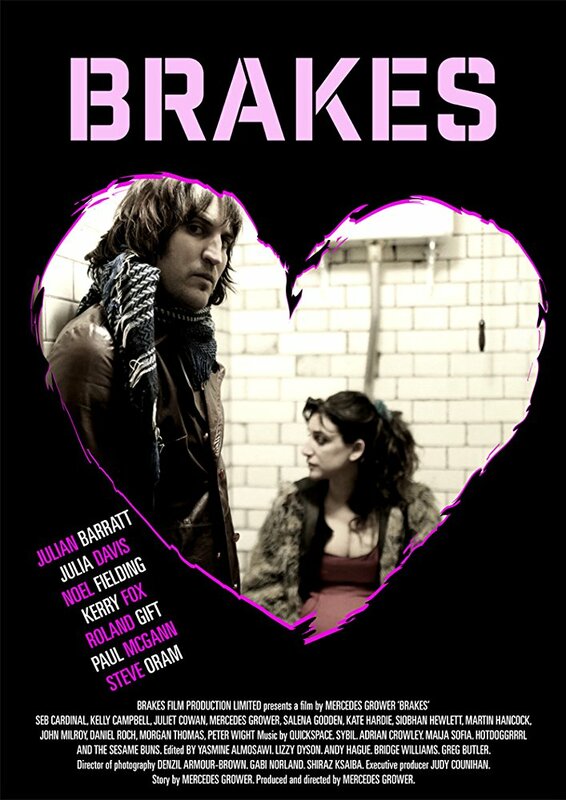 Brakes doesn’t work on an emotional level or with the depth that you might hope, but the actors are committed to their characters and they appear as people you’d see out in public. So even what doesn’t work here has some level of truth. Grower has created what feels like a little cousin to the films of Joe Swanberg or the legendary Mike Leigh. It doesn’t work as well as something like Drinking Buddies (2013), but it’s a structurally interesting outline that’s imbued with a search for reality. Brakes is uneven and lacks the sheen and craft of the Hollywood films it upends, but Hollywood would be smart to take notes from a film like this.